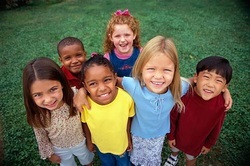 An English Language Learner is a student of any age that is learning English. The student can be learning in any type of environment, informal or formal. An informal language learning environment could be at a subway, reading a newspaper, or asking for directions. A formal learning environment would be in a classroom or dedicated area for learning. That all ELL want to learn the language. Sometimes the motivation to learn the language is driven by the need for a new job, social circumstances or government mandated. When talking to an ELL, the native English speaker needs to speak slowly, and loudly for the ELL to understand. This is totally false! When surveyed, most ELL want native speakers to speak at their normal rate, but to make sure to enunciate words. All ELL know the social language better than the academic language. This is completely untrue! In social situations, many times ELL feel nervous or anxious because they do not know how to interact with the language and culture. It is necessary for all ELL teacher's to create social situations for ELL to interactive with native English Speakers in a relaxing environment. Rowley, MA: Newbury House Publishers, Inc.
Graham, C. (1978). Grammarchants: More jazz chants. New York: Oxford University Press. Harmer, J. (2007). The practice of English language teaching, 4th Edition. Cambridge: Pearson/Longman. Larsen-Freeman, D. (2001). Teaching grammar. In M. Celce-Murcia (Ed.) Teaching English as a second or foreign language, pp. 251-266. Lee, J.F., & VanPatten, B. (2003). Making communicative language teaching happen, 2nd edition. New York: McGraw-Hill. Master, P. (1997). The English article system: Acquisition, function, and pedagogy. System, 25(2), 215- 232. Nunan, D. (2004). Task-based language teaching. Cambridge: Cambridge University Press. Echevarria, J., Vogt, M., & Short, D. (2008). Making content comprehensible for English learners: The SIOP model (3rd ed.). Plonsky, Luke. (2010) LLT 346. Teaching Reading. Extracted from www.angel.msu.edu on October 19, 2010. Teaching Reading. Plonsky, Luke. (2010) LLT 346. Teaching Writing. Extracted from www.angel.msu.edu on October 21, 2010. Teaching Writing. Plonsky, Luke. (2010) LLT 346. Teaching Grammar. Extracted from www.angel.msu.edu on September 28, 2010. Teaching Reading. Plonsky, Luke. (2010) LLT 346. Teaching Grammar Day 2. Extracted from www.angel.msu.edu on September 30, 2010. Teaching Grammar. Plonsky, Luke. (2010) LLT 346. Teaching Vocabulary. Extracted from www.angel.msu.edu on September 21, 2010. Teaching Vocabulary. Plonsky, Luke. (2010) LLT 346. Teaching Speaking. Extracted from www.angel.msu.edu on October 5, 2010. Teaching Speaking. Plonsky, Luke. (2010) LLT 346. Teaching Listening. Extracted from www.angel.msu.edu on October 12, 2010. Teaching Listening. Celce-Murcia, M. (Ed). (2001). Teaching English as a Second or Foreign Language (3rd ed.). Celce-Murcia, M. (2007). Towards more context and discourse in grammar instruction. TESL-EJ, 11(2). Savignnon, S. (2001). Communicative language teaching for the twenty-first century. Spada, N. (2007). Communicative language teaching: current status and feature prospects. International handbook of English language teaching, 15(2), 271-288.